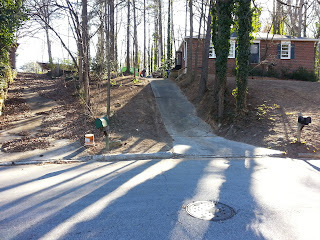 We often get questions about sloped driveways and if they are going to be an issue. Due to our trucks, system, and bins they generally are not. The slope and driveway have to be parallel; perpendicular angles can cause a tipping issue. As long as the slope is about the same, there shouldn't be an issue. We have never had a driveway where we could not place a dumpster when the slope has been parallel. 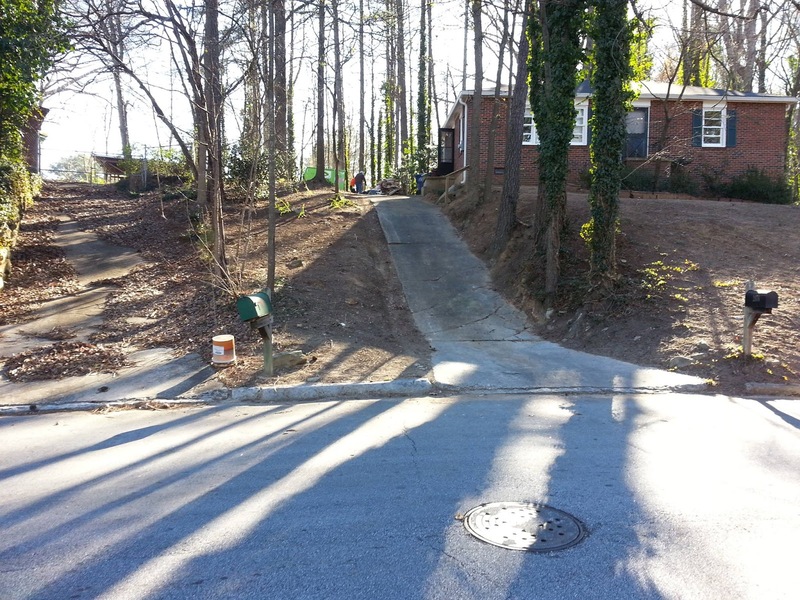 A driveway with a flat section, then a sloped section can propose more of a problem when trying to get unhooked. Although the picture does not do any justice, this driveway was very steep but had enough room at the top to place it without any issues. Dispose of Rail Road Ties. Renter Beware of Hidden Fees!